There are two opposing sides in the current Skye hospital controversy. The two opposing sides are not the north of the island versus the south, Lochalsh and South-West Ross — they are a lot of people in the north of Skye and some people in NHS Highland. Both groups need to take deep breaths and start talking to each other. NHS Highland has conducted itself poorly in this affair. 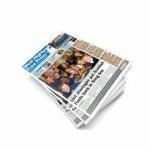 The Inverness-based HQ of the local national health service has not won a great reputation in Skye and Lochalsh in recent years — and this newspaper has been among the first to hold it to account. Suspending its Broadford endoscopy services last year and its out-of-hours midwifery services earlier this month were both, for example, unacceptable — and in the present febrile atmosphere, were also extremely undiplomatic. The confusion over whether or not Portree hospital provides accident and emergency cover — and whether or not it will continue to do so — was unnecessary and served to cloud the atmosphere still further. There are legitimate fears nationally about the future of the NHS. 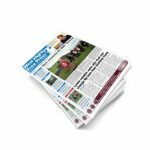 Talk of cuts and privatisation is everywhere, and our readers are right both to be worried and determined to fight any such cuts in Skye and Lochalsh. It is nonetheless important to separate one issue from another, difficult as that may seem. The new hospital provision planned for Skye does not represent cuts to the local health service, far less any form of privatisation. On the contrary, they represent the biggest investment in improved facilities for the island that any of us is likely to see in our lifetimes. 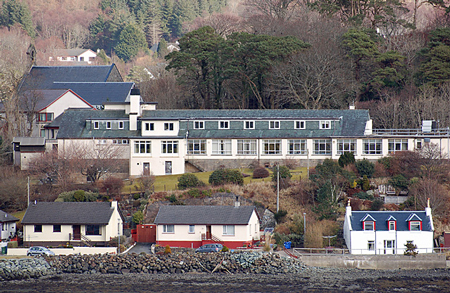 When that welcome investment to bring Skye and Lochalsh hospital services into the 21st century was offered by the Scottish Government in 2013, there remained a lot of details to iron out. First and foremost, it had to be decided what was going to be built, and where. In order to settle a matter which was already recognised as potentially divisive, this time last year NHS Scotland established a local working group to reach a conclusion. That committee naturally included Skye’s four elected councillors as well as other community leaders, members of community councils and medical professionals from all over Skye and Lochalsh. Since “proportional” representation was introduced to Highland Council, the Portree area has been disproportionately represented — three of our four councillors live in the village. Unlike most of the rest of us, those three Portree councillors were therefore in a position from the very beginning to influence the direction of future hospital provision in Skye. Their attendance at the steering committee’s meetings was patchy to say the least. But that is not the fault of NHS Highland or of their constituents. When the committee finally agreed — through a complex system of preferential decisions — to build a main new hub hospital in Broadford and reduce Portree to a secondary spoke hospital, Portree’s three councillors were party to that decision even in their absence. They raised no objection last March, for example, to the condition that the new Portree spoke hospital “would not have in-patient beds”. In this process at least, NHS Highland conducted itself fairly and transparently. As we commented at the time, “it was a consensual decision which both a Portree general practitioner and the chair of Portree and Braes community council, both of whom are probably disappointed by the result, are nonetheless able to support without rancour”. Despite warnings that deviation from that democratic decision could result in the collapse of the whole process, the rancour was yet to come. Those “ongoing discussions” should have focused on north Skye. South Skye and South-West Ross have little or no argument with the broad proposals. The fact that three north Skye councillors also had no argument against them seems to have blinded NHS Highland to the sensitivities of the people of that part of the island about their present and future hospital provision. The failure to invite any community council north of Skeabost to consult on the redesign is inexplicable. It should now be corrected, however late in the day. The action groups have not conducted themselves perfectly. They have presented a “Save Portree Hospital” campaign to the world as though Portree Hospital is to be completely closed down — which it is not — with little or no acknowledgement of a hugely-improved new Skye hospital half-an-hour down the road. With their councillors compromised, their potential political support was chiefly to be located in the person of SNP MSP David Thompson. Mr Thompson has now disowned them in no uncertain terms, accusing the action groups of “scaremongering” and “spreading fear”. The campaigners in north Skye still have points to make, and should still be heard. Many if not most of them should now be reconciled to the fact that the main new hospital will be in Broadford and the secondary ‘spoke’ in Portree. That decision has been ratified at the highest level in Edinburgh and will not now be reversed. The remaining battle is to win the best possible facilities for the new arrangements in both Broadford and Portree. Those new arrangements are not yet set in stone. To that end, NHS Highland and the north Skye campaigners should engage in reasonable and positive debate. They could usefully begin by accepting that, in this matter at least, they are not enemies. They share a major common objective — to improve hospital provision for the whole of Skye and its neighbouring mainland. That objective will be reached only through sensible and respectful discussion.